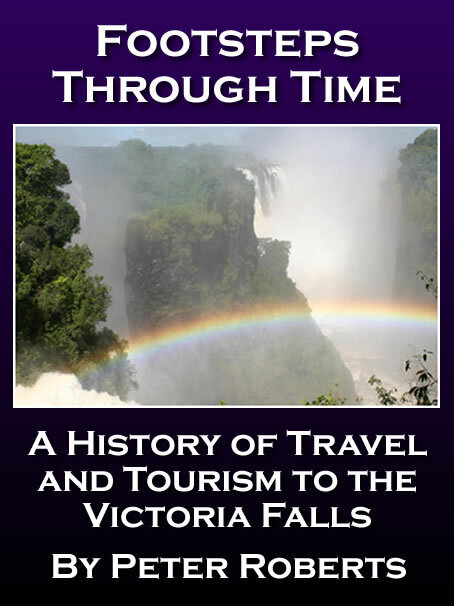 The following text is adapted from 'Footsteps Through Time - A History of Travel and Tourism to the Victoria Falls', researched and written by Peter Roberts and published in 2017. Please visit the Zambezi Book Company website for more information. During the early 1990s tourism arrivals and hotel occupancy on the Zimbabwe side of the Falls was booming, leading to a rapid increase in tourism infrastructure development. Tourism operators and products diversified and accommodation providers flourished. The re-invention of the destination as an adventure and adrenalin activity hub resulted in a boom in the town’s night-life, with the famous Explorer Bar the centre of the late night scene, and earning the town a 24-hour, seven days a week, non-stop party reputation. Video presentations of the days’ rafting, with all the thrills and spills, flips, and perhaps a few flops, drew people to the bars, followed by late-night DJ parties at Downtime, an underground bar within the Ilala Lodge development. Long-distance trans-Africa overland truck routes all led to the Falls, delivering thirsty thrill-seeking backpackers on ‘round the world’ gap-year adventures. Annual international arrivals to Zimbabwe rose steadily to successive records of 583,000 in 1990, 607,000 in 1991 and 675,000 in 1992. In 1993 arrivals increased significantly to 879,500, followed by new record highs of 1,039,000 in 1994 and 1,415,500 in 1995. 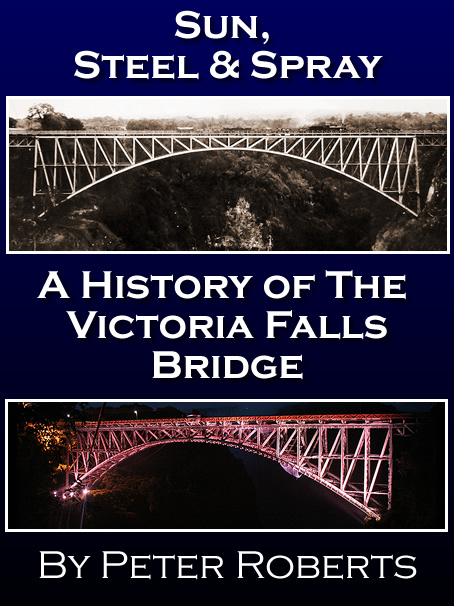 The 1992 population census showed that Victoria Falls Town had grown to 16,826 (CSO, 1994) and by 1995 the town had expanded to cover an estimated 758 hectares (PlanAfric, 2001). By comparison Livingstone’s population was recorded at over 82,500 in the 1990 national census (Moonga, 1999). The high numbers of visitors raised concerns over the integrity of the Falls site. In 1986 the author Heath concluded the Rainforest had already reached its peak-season carrying capacity (Heath, 1986). Ten years later a World Conservation Union report raised similar concerns over the impacts of high visitor numbers, calculated to be close to the carrying capacity for the infrastructure facilities available (World Conservation Union, 1996). The Elephant Hills Intercontinental Resort and Conference Centre rose from the ashes of the old Country Club in 1991. The new 276-room hotel was developed by Zimbabwe Sun Hotels at a cost of $150 million. The resort served as the exclusive retreat for the Commonwealth Heads of Government Meeting (CHOGM), hosted in Harare in October 1991, before being officially opened by President Robert Mugabe in February in 1993. The completed building, looking more like a fortress than a tourism resort, dominated the local landscape and has been described as a ‘grey monolith’ and in one famous travel guide series as a ‘hideously obtrusive white elephant’ (Pinchuck, 2000). The golf-course was restored to international standards, keeping close to Gary Player’s original design, with a nine-hole course ready in time for the Commonwealth meeting, later expanded to a full 18-hole course. The resort also included tennis courts, casino and helipad - from which Southern Cross Aviation operated a Bell Long Range Helicopter for tourist flights from the mid 1990s, the first commercial helicopter flights over the Falls. The 72-room Victoria Falls Safari Lodge complex, including the Lokuthula Lodges and The Boma - The Place of Eating, opened on the western edge of the growing town in December 1994. Developed by Africa Albida Tourism, the Lodge and surrounding estate complex is one of the largest developments on the south bank since the construction of the original Elephant Hills complex in the mid 1970s. During construction an environmental architect was employed to ensure minimal impact on the lodge’s surroundings. No mature trees were felled during building work and 6,000 young trees were planted on and around the estate. These efforts were recognised when the Lodge was awarded the prestigious international Green Globe Distinction Award in 2000 for outstanding environmental practices in its construction. The development was, however, still criticised by conservationists for building on a natural site previously identified as an important wildlife corridor. The main lodge buildings are built on a natural ridge overlooking an artificial waterhole, pumped all year to maintain water levels and floodlit at night for nocturnal wildlife viewing. In 1995, its first full year of operation, the Lodge achieved an average occupancy of 72 percent. News reports record that in September 1995 warning shots were fired over a Zimbabwean operated cruise boat from the Zambian side of the river. Business rivalries between cruise boat operators on either side of the river, and an ongoing dispute over the official line of the international border between the two countries, resulting in some over-zealous policing of territorial waters. 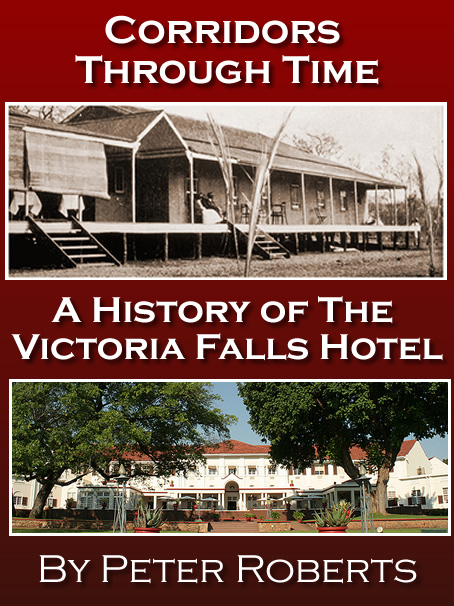 During 1996 the Victoria Falls Hotel underwent a substantial redevelopment and full refurbishment, estimated at costing $6.5 million, upgrading and modernising the rooms and facilities to luxurious five-star standards, whilst recapturing the historical period feel of the original Hotel buildings. In 1997 the Hotel opened the 42-room Stables Wing, bringing the Hotel total to 161 rooms. On the north bank of the Falls the site of the old InterContinental Hotel - derelict and decaying after many years in the tourist doldrums - was offered for redevelopment in 1997. The lease of the site, including the neighbouring Rainbow Lodge and additional connecting National Parks land, was bought by Sun International of South Africa. The agreement included a capital investment commitment of over $50 million for the redevelopment of the site and the building of a 250 room family hotel, 120 room luxury 5-star hotel and a 50 room bush lodge. Towards the end of the nineties Zimbabwe’s tourism sector was riding high, with record arrivals and receipts. National annual international arrivals reached 1,596,500 in 1996, dropping slightly to 1,335,500 in 1997 before rising to 2,090,500 in 1998 and a new landmark of 2,249,500 in 1999. Average room occupancy in the Falls rose from 59 percent in 1997 to 76 percent in 1998, dropping to 62 percent in 1999. The Falls Rainforest recorded 313,043 visitors in 1998, comprising 97,144 Zimbabwean and 215,899 international tourists (Nelson, 2000). In the same year 23,535 tourists visited the Zambezi National Park. Visitors to the Rainforest dropped to 190,000 in 1999. The Elephant’s Walk Shopping and Artists Village opened in 1997 on a site adjoining Soper’s Curio’s shop (and which relocated to within the complex in 2016). Responding to changing tourist demographics, the town’s first backpackers, Shoestrings Backpackers Lodge, opened in 1997. During the late 1990s significant redevelopments and new ventures refreshed the image of the evolving tourist town. The Makasa Sun Hotel site adjacent to the Falls Hotel was closed in 1998 with the Zimbabwe Sun Group investing $24 million in the complete redevelopment of the site. The 294-room The Kingdom at Victoria Falls was officially opened by President Robert Mugabe in July 1999. The architectural design of the hotel buildings were closely inspired and influenced by the ancient ruins of Great Zimbabwe. The complex includes ‘The Great Enclosure,’ an entertainment complex including the Makasa Casino, Quartermains (a stylish Edwardian themed bar), the Wild Thing ‘action bar,’ Panarotti’s Italian pizza restaurant and the Thundercloud Spur steak-house. The Stanley and Livingstone Safari Lodge was developed in 1999 by Rani Resorts, set amongst verdant grounds and adjoining a 6,000 acre private wildlife reserve on an out-of-town location. The five-star luxury lodge accommodates up to 32 in 16 suites. A separate private retreat, Old Ursula Camp, located on the Stanley and Livingstone Private Game Reserve, accommodates eight. During the late 1990s Zimbabwe based operator Safari Par Excellence expanded operations into Zambia, developing the Zambezi Waterfront on the banks of the Zambezi River, four kilometres above the Falls. The development opened in December 1999 and includes riverside restaurant and bar with pool deck, 23 on-suite chalets, 24 permanent tents, camping for up to 100 clients and jetty sites for two cruise boats, the MV Makumbi and MV Mambushi. In mid 1999 Cresta Hospitality announced plans to construct a five-star riverside 80-room hotel, Cresta River Lodge, on the site of the old Zambezi Caravan and Campsite, in a proposed joint venture with the town council. The $30 million development failed to materialise. 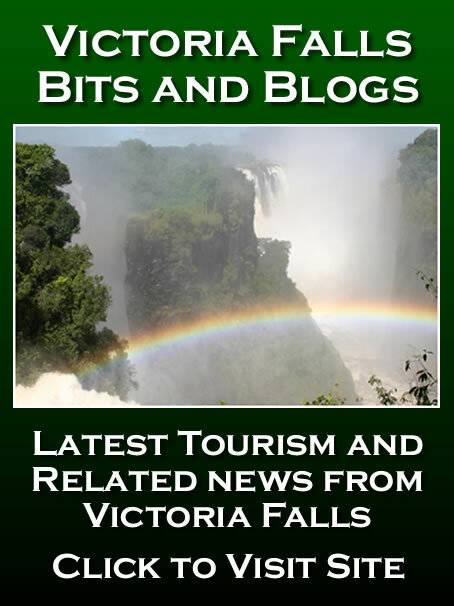 Charles Brightman, a local safari operator and conservationist, together with support from the Victoria Falls Safari Lodge, established the Victoria Falls Anti-Poaching Unit (VFAPU) in January 1999. VFAPU works in close association with the National Park authorities to educate local communities, maintain anti-poaching patrols and support the arrest and prosecution of poachers. CSO (1994) Zimbabwe Census Report 1992, Central Statistics Office, Harare. Kararach, G. and Otieno, R. [Editors] (2016) Economic Management in a Hyperinflationary Environment. Oxford University Press. Moonga. K. (1999) The Development of Tourism in Livingstone District, 1945-1991. University of Zambia. 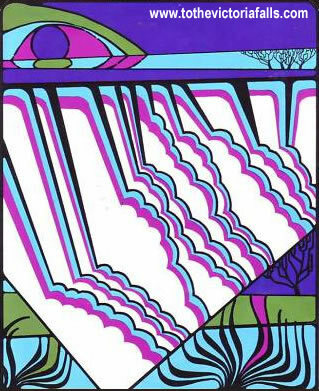 World Conservation Union (1996) Strategic Environmental Assessment of Developments Around Victoria Falls. Regional Office for Southern Africa. Wynn, S. (1995) The Victoria Falls : A Fragile Power. Africa Geographic Magazine, Vol.3, No.1, January 1995. Roberts P (2017) Footsteps Through Time - A history of Travel and Tourism to the Victoria Falls. Zambezi Book Company.